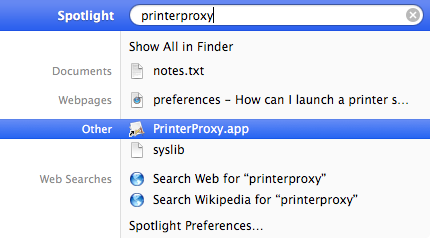 How can I launch a printer scanner from Spotlight? I can go to the "Printers & Scanners" panel from Spotlight, but I cannot call the scanner directly. 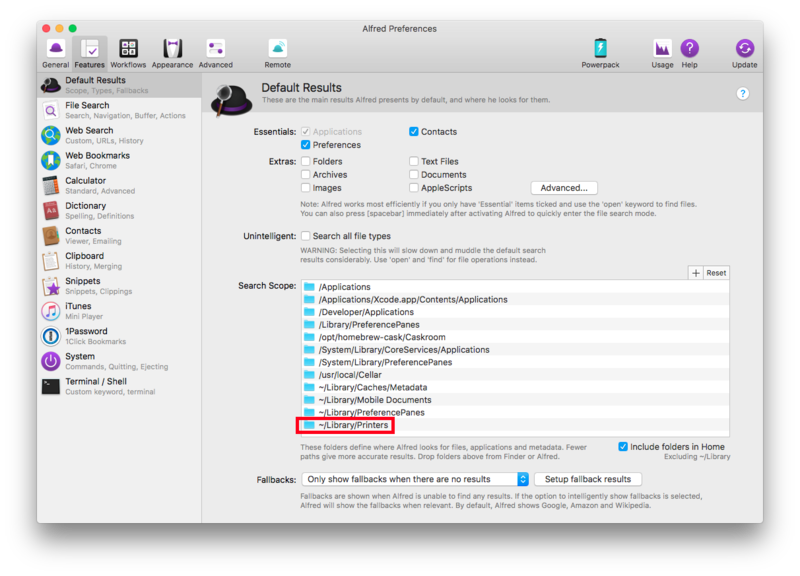 Is there any way to make Spotlight index a shortcut to the default printer's Scanner app? It would save the 2 to 3 clicks it takes to click on the correct printer if needed, click on the "Scan" tab and finally on the "Open Scanner" button. Once the scanning window opens, right-click on the Scanner's application icon on the right side of your dock, and select "option/keep on dock"
If it is a combo printer/scanner, step 5 may open the printer queue window instead of going straight to scan mode. If this occurs, simply the click the "Scan" button that shows in the Printer Queue window. You could try to type-in the name of your printer inside Spotlight, the interface showing up should let you click on the "Scanner" button. The quickest way I found so far; and I don't think you can get to that "scanner-button-interface" directly i.e: you have to go through the printer-interface. I have a flatbed scanner, separate from the printer. Solution 1: What works for me is, in Spotlight, to type the first letters of the name of the scanning device (in my case "Epson Perfection 2400"), and open it. This opens the scanning window directly from Spotlight. Solution 2: you can rename the scanner device to include the word "scanner", by going to Preferences > Printers and Scanners, right-clicking (or Ctrl-clicking) on the scanner name, and rename it. In my case, I renamed it to "Epson Perfection 2400 scanner". This did the trick. Now I can type "scanner" in Spotlight, and open up the scanning window directly. Final step for my HP LaserJet M1536dnf MFP is to press CMD+3 to open the scanner window! Or search for the mac OS utility Image Capture which also lists scanner. I have made an applescript that launches the specific printer/scanner app that resides in user library and then presses cmd+3 as Hotschke suggested. set SCAN to "/Users/user/Library/Printers/INK 8600.app"
this is saved as Scan INK 8600.app in apps folder and launched through spotlight. It opens the printer app and then launches the scan interface. While the scanner application is running, have a look at the dock to see the icon (and on right-click the name) of the scanner application itself. To start it directly, just type this name into Spotlight. Or you can pin the scanner application to the Dock so it's always available without using Spotlight at all. The fastest way to activate any program is to use the ⌘ + SPACEBAR shortcut to bring up Spotlight and then type in the name of the Applciation you wish to start, in this case, your scanning application name is what you would enter. After you enter it in the spotlight search field, it should show up under the Applications heading in the Spotlight Result list, if it isn't selected already, simply use the arrow keys to highlight it and then hit enter to select it. This is the method I use to start up many, if not all of the applications I use because it doesn't require me to lift my hand off the keyboard and I can just keep working. Type the word scan into spotlight and click the resulting icon. Not the answer you're looking for? Browse other questions tagged spotlight preferences scanning . How can I access my scanner directly without going through System Preferences? Launch default browser spotlight shortcut? Why won't scanner show up for Scanner Sharing? 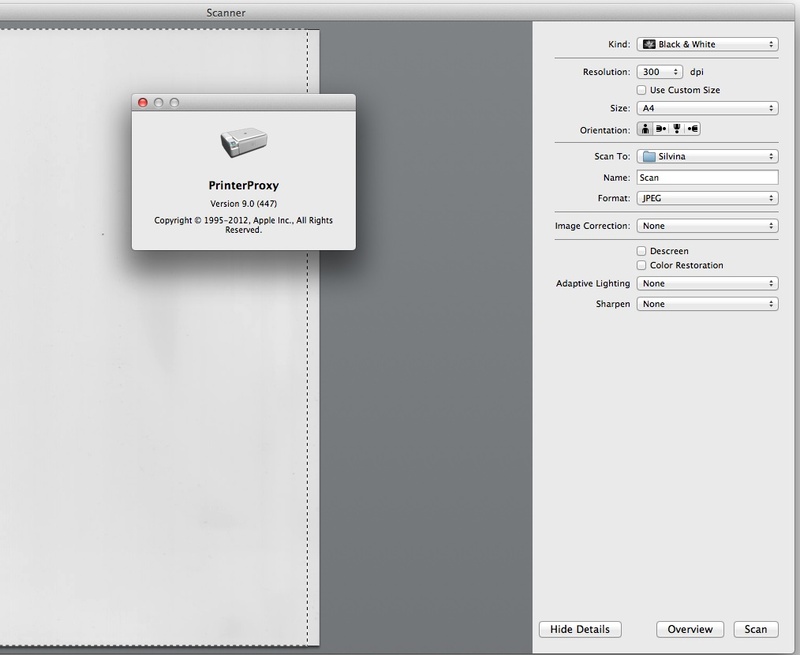 How do I get my S1300 scanner to show up in Yosemite Preview File > “Import from scanner” option? What is the difference between millions and billions in printer/scanner colour settings? How to launch Steam games from Spotlight?